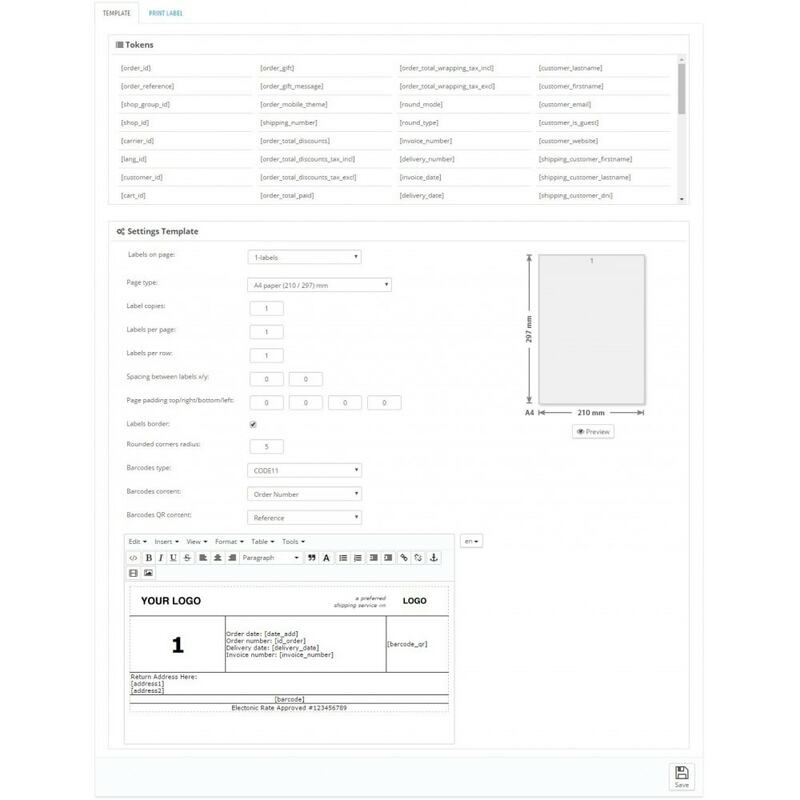 A4 Shipping Label Module makes your daily order processing tasks easier and quicker. Print a shipping label in seconds! Design any Label template with Editor from backoffice. 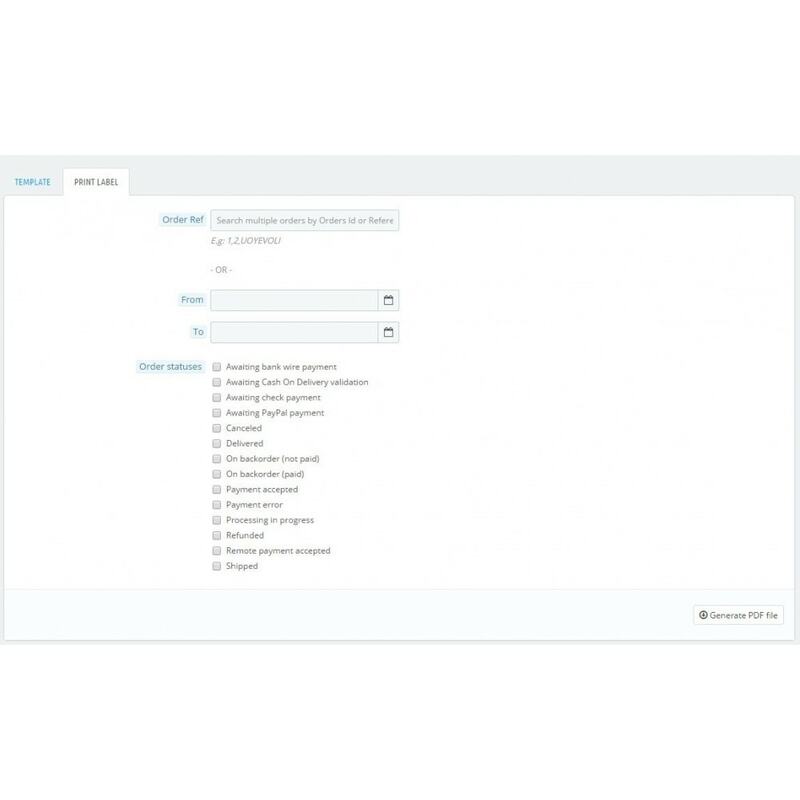 Bulk printing: Print documents from many orders at once with filter for orders by dates & statuses. 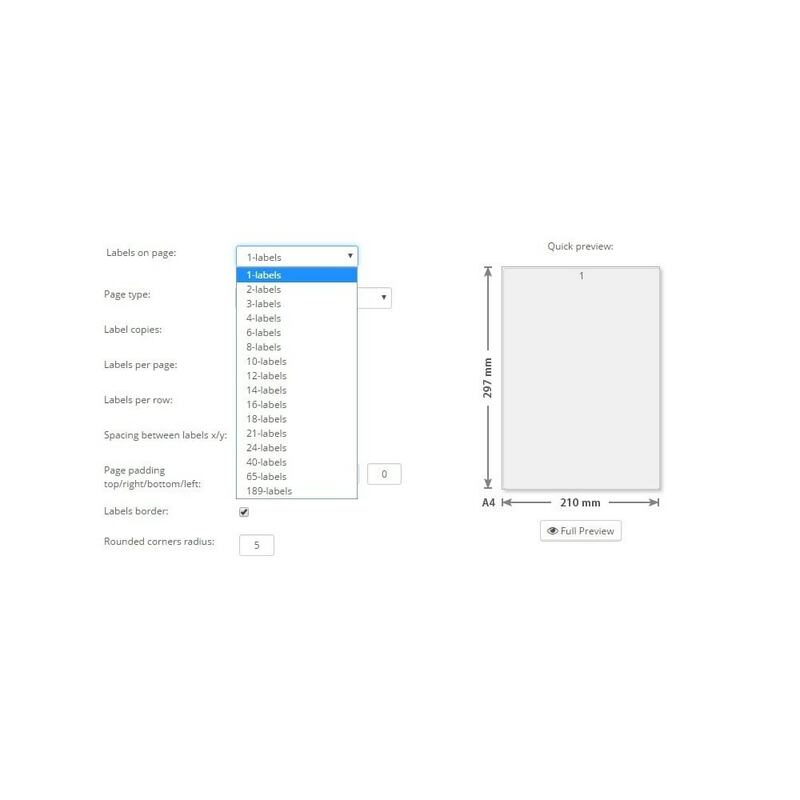 Preview before Print: You can design & preview the label sheet and the label template before printing. Customize size of Label, the number of Label in a page. Support Barcodes: Generate any barcode you want based on variables or plain text. Labels can also be saved as PDF for later use or just print them as PDF. 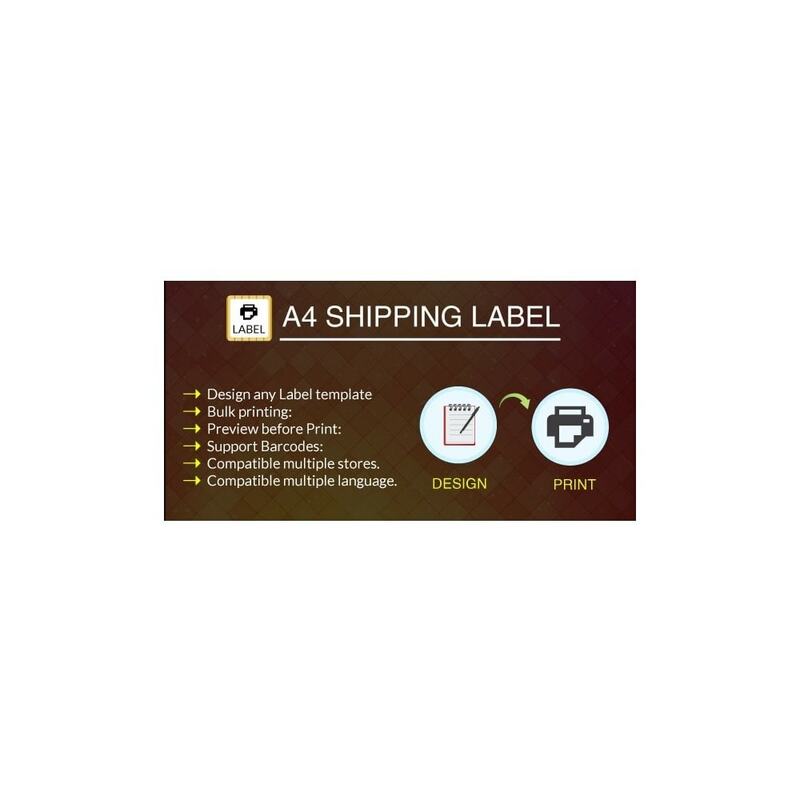 Your customers will receive the packages with a professional looking shipping labels, this will raise your store image and improve the user experience.